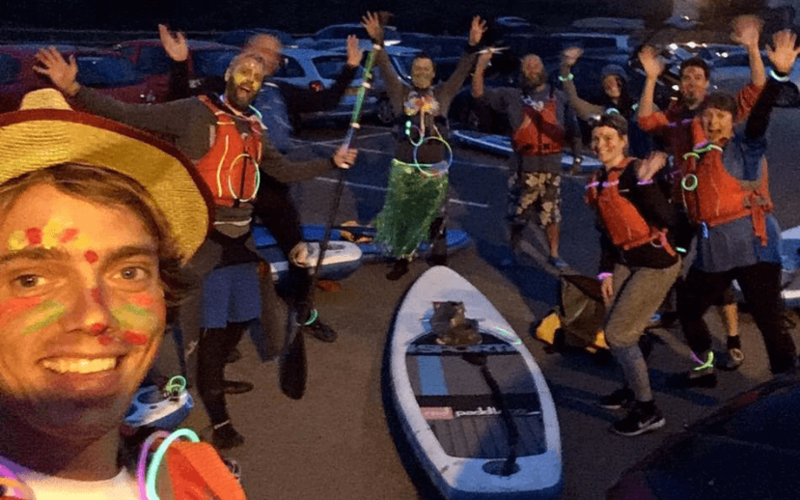 A gentle five mile paddle down the River Severn completely suitable for confident beginners…with a twist. We’ll meet at The Lower Lode Inn at 8pm to get ready, then we’ll begin paddling towards The Red Lion, Wainlodes as the night draws in. We should easily make it time for last orders. Then we’ll shuttle back up to The Lower Lode where we have the option to camp. It’s £10 per pitch, please book ahead with the pub – 01684 293224. £30pp, all equipment provided (not glow stuff). £25pp for group bookings.